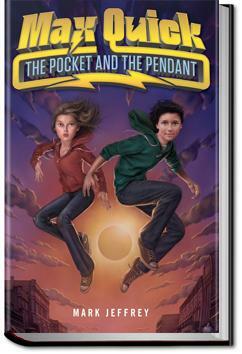 Recommended for fans of Harry Potter by JK Rowling and Percy Jackson & Heroes of Olympus by Rick Riordan. This book was recommended to me by Mrs. Susan Dee, 5th grade language arts teacher in the snowy state of Maine. Our classes connected on World Read Aloud Day and we both did some book talks. This book came up and I immediately ordered it from Amazon. A clever adventure that takes you on a wild and mystical ride! The beginning is a little slow to start, but once you are immersed in the world of The Pocket you will find it hard to put the book down! "On March 14, at exactly 1:59 in the afternoon, the world stopped." This is a book packed full of adventure and neat concepts. Like the hero, the story starts off with a bang and keeps going at a ripping pace. I finished this book at the same speed because I couldn't wait to see what happened next. A great piece of fiction that as a bonus is also young enough to be juvenile fiction (so my kids can read it too). Great world, great plot lines, cool characters. Well done Mark! I wrote it, so I kinda like it :) Hope you do as well!!! !